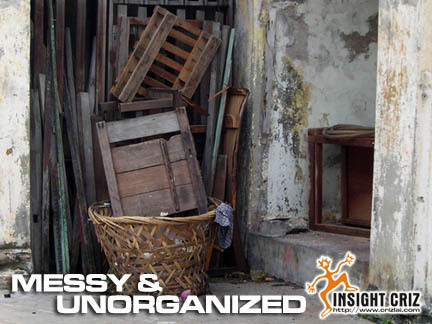 MESSY could also mean DISORGANIZED. scattered beside the corner of a house. Someone should do something to clear up all the MESSY stuff.